I still have Meteor Shower, a design by Judy Martin, up on the wall. It has grown a little bit more, but only because it was raining yesterday, so after the marathon jam making session, I couldn't go back outside. So I stayed in to sew instead. There was another marathon jam making session today, too, that ended up with another 14 500ml jars of strawberry jam. This quilt was part of my June goal for The Lovely Year of Finishes. I had started off the month wanting to get all of the remaining large star blocks done. 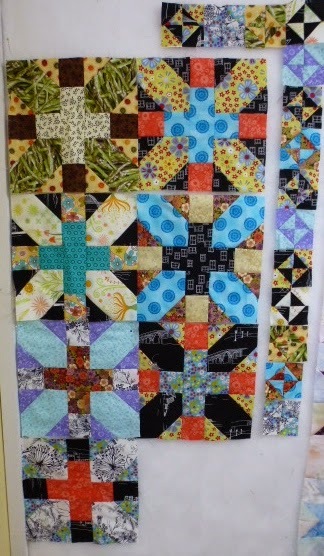 Midway through the month I amended that goal to just getting the blocks in the main body of the quilt done. As shown here, I didn't make that one, either. So, I will just have to extend that into July. I have a lot of quilts to do in July, and we're going to be away for a week, as well, so I'm going to be easy on myself and just say that I will try to finish the last two blocks that are in progress up there. After that, there are only three more large blocks to do, which will probably be August's job, along with a lot of little stars for the border. They are really easy to do, no set in seams for the little ones. There's a guild sew-in day at the end of July. Maybe I'll take those to work on then....... sounds like a plan to me. I'm going to link up to Judy's Design wall Monday and also to the June's Finish Party at The Lovely Year of Finishes. Then I think I'll head back outside and see if the fireflies are out yet. Are always subject to change. Not five minutes after my previous post talking about relaxing in the yard with my knitting, Matt came out and said that he and Becca had just picked up two flats of freshly picked strawberries, and did I want to make jam with them........ silly question! With their help with the cleaning and hulling and stirring and all the other stuff needed for jam making, we now have 15 of the 500ml jars of strawberry jam. Ten of them are reduced sugar, and the other five are full sugar. I recently purchased the Realfruit Pectin from amazon, and so far I like it. I kinda wish the jars of pectin were bigger though. I got the 10 jars of low sugar from the one jar of pectin, but there wasn't enough left to do another full batch out of it. There is talk of doing more jam tomorrow, which will pretty much wipe out the rest of the pectin I ordered. Guess I'll have to get more. It has been just too nice outdoors these days to spend any more time inside than I absolutely have too. Summer takes so long to get here, especially this year, that I just can't bear not to be out in it. Consequently, there has been very little sewing going on here. I though that, maybe today, I could bring my machine outside with me and do some, but it's a bit too breezy for that. I'd have pieces blowing all over the yard. Some people would say that it's too hot and muggy out, but not me. However, this means that my stash numbers haven't changed a bit. 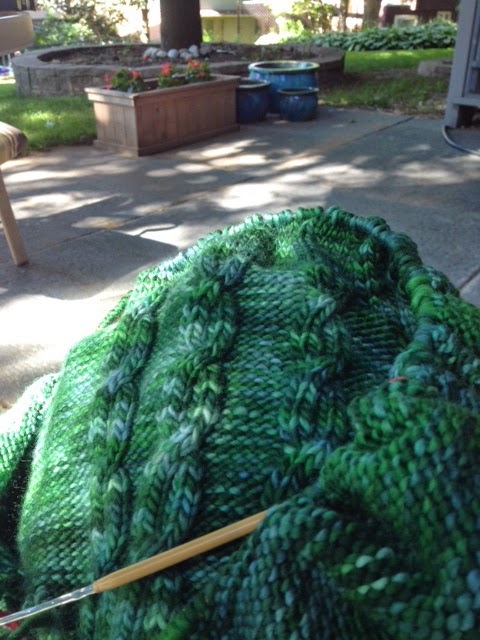 So, while I haven't been doing a lot of sewing, I've been doing tons of knitting, while enjoying the outdoors. My Flyaway Hoodie is growing by leaps and bounds. I think I have 2 more sets of increases to do on the sides of this, and it will nearly be ready for the body of it to be done. I think I'll likely leave the final part of the body to finish after I get the hood done. I want to put a separating zipper into this, and they come in 2 inch increment sizes in even numbers, I believe. I want to have the front opening of this as close to one of those sizes as I can, and I'm not sure how much the hood will add to the front opening measurement. I might actually be able to begin the hood today, which would be rather exciting! Scott and I were out in the neighbourhood of The Little Red Mitten a couple of days ago, and I couldn't bear not to go in. I've been wanting wool to start See You There, which is a gorgeous design. I actually started it once, using the yarn that I'm making Flyaway with. But there was too much colour texture in the greens for the design of the stitches to show up, so I ripped it out. I'm thinking this new yarn will work better. It's not exactly what I wanted. What I wanted was a Malabrigo Rios, but at $18.95 for a 210 yarn hank of yarn, it was just way too far out of my price league. I couldn't bring myself to pay almost $200.00 for a sweater, lovely as the yarn is. Definitely a case of champagne tastes on a generic brand cola budget. Our son Noel was over last evening, and we had a family BBQ with steaks and sweet kale salad, mashed garlic potatoes, and roasted peppers. My contribution was to open the bag of sweet kale salad, dump it into the bowl and then open the dressing package and stir it into the salad. Such hard work, I know. ;) Noel took a hank of the wool back home with him. He is putting together a yarn swift for me, which is becoming a much needed item in my arsenal of tools. Have you ever had a hank of yarn go rogue on you and end up in a massive tangled mess? I had that happen Friday evening. A hank of sock yarn ended up in such a mess. It took me 5 hours to get it all sorted out, bit by little tiny bit, until it finally ended up in a usable ball of yarn. What an ordeal. I was sorely tempted to take the whole thing and pitch it out the window, but I paid too much and it was way too lovely a yarn not to be able to use. There isn't much else happening here, today, so I think I'll link up to Judy's Stash Report and On the Needles, and then just relax and do some more knitting. This is part of my view a I enjoy the outdoors. Matt built this wooden pole structure last year, as part of what he calls "bird central" There are 2 feeders there, which attract all kinds of little birds. I'm not sure what they all are but they are fun to watch. As is the squirrel who has figured out that, if it hangs upside down from the bar, it can get a hold of the black feeder that is filled with black oil sunflower seeds, and gobble them all down. The round feeder has a cage around it. The small birds can get through it, but the squirrel can't. So much fun to watch. We have quite a few chipmunks in the yard as well, and they congregate on the stones under the feeders, and in that giant hosta, to feed on all the seeds spilled onto the ground by the birds. I love out life here. God is so good!! I've still got Meteor Shower a design by Judy Martin, up on my wall. It's grown by a couple of blocks since the last time I took a picture of it to show here. It is a complex design, and requires my brain to be fully focused when working on it. One second of not paying attention, and something ends up turned the wrong way, or a colour in the wrong spot. That means it's going slower than I hoped.This is June's UFO, and my goal was to have all 12 of the large blocks done by the end of the month. given that it's already the 23rd, I don't think that's going to happen. Of course, it didn't help that I spent the first half of the month playing with a new project, rather than working on this. I'll settle for finishing the last 2 of the blocks needed for finishing the center of this quilt. I have a dinner to go to tonight for the end of the year on the program committee for the guild, so this is going to be a very short post. I'm linking up to Judy's Design Wall Monday, and then I'd better get ready to go. I have really been slacking off in the stash reporting lately. When we went camping back in May, I took the graph paper book that I use for keeping track of my fabric ins and outs with us, since we were gone over the weekend, so I needed it to do that weekend's report. I now can't find that book anywhere, so I suspect it got left in the trailer. I've been keeping track, sort of, in another note book, but it doesn't work anywhere near as well or as organized as that graph paper book. So, I keep putting off trying to add it all up. But if I procrastinate it any longer, I'm going to end up totally losing track, so I'd best stop putting it off. This report is going to be for 3 weeks. three inches of stocking stitch to it since Friday. If I keep going at this rate, it will be done before the end of the summer, just in time to wear for the cool fall evenings, which I'm no where even really to begin thinking about. It took so long for summer to get here, that I want to enjoy each and every minute of it. To that end, I'm going to post this, link up to Judy's Stash Report and then head back outside to enjoy the rest of the evening. I'm still working away at my Flyaway Hoodie. I've made great progress on it this past week. It's been so lovely outside in the evenings, that I've been spending a lot of time sitting outside, enjoying the warmth and knitting. All of the cable stitching is done. The rest of it is basic stockinette stitch. However, later on in the sweater, it calls for pockets, which I've never done in knitting before, so it won't be all boring. And the sleeves call for short row shaping. I've done short rows in socks. I'm hoping it's the same process for sleeves. The front of the sweater is this picture to the right. Those rust coloured pieces of yarn are holding stitches to pick up to knit around the hood. The original pattern called for buttons and button holes in the front button bands. I'm not a great fan of button sweaters- they tend to gap at the front- so I'm leaving out the button holes and will be putting in a zipper instead. This picture to the left is the back, with all the lovely cables. I'm linking up to Judy's On the Needles. I'm trying to post at least once a week about my customer quilting. I value each and every one of them, and to record the work that they do, and which they allow me to add to, is a responsibility that I really want to maintain and increase. 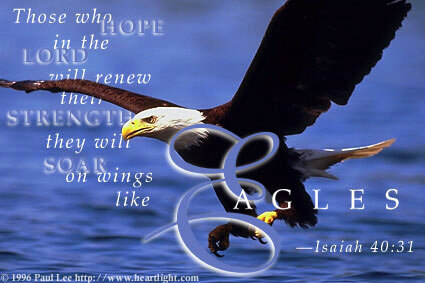 Somehow though, the days just keep flying by, and every time I blink, it seems like another week is gone. How does that happen? Anyway, I've gone off subject here. This is Lyndsey's Celtic knot quilt. If the colours look good here, they are even better in person. The transition from red, to an orange/red to yellow is so stunningly eye catching. This is another occasion when the pantograph Square Dance was used, and quite effectively too, I think. It picks up the intertwining squares of the piecing wonderfully. I didn't manage to get a picture of the back of this one, but it was a great choice. She used a red fabric with circles printed on it to contrast with all the squares and rectangles on the front. So much fun! I've been working steadily at a new project. Yep, I finally gave in and started one. I couldn't resist the new McKenna Ryan fabrics that came in a week or so ago, I started the first block of the quilt True Nature, and have gotten quite a lot done on it. These things are addictive, once started. And they create such a mess, that it's easier just to keep on going, rather than stop and clean up the mess. I'm slowly getting caught up with posting about the customer quilts I've been doing. I'm now only 3 months behind. This is A quilt Lorraine brought to me back in March. I love the colours in it, and the simplicity of the design that lets the fabrics shine. I love the colour she chose for the background that goes so well, and complements the colours in the piecing so beautifully. I can't remember what the pattern source was, but the original quilt had a lot of straight line intersecting patterns in the quilting, and Lorraine wanted to get as close to the original quilting as possible. We decided that the pantograph called Square Dance came the closest to what she was looking for. This is such a versatile quilting design, that it gets a lot of mileage on my machine. It's one of my favourites to quilt up. Fun stuff on the wall today. I'm continuing to play with those +&X blocks. I have seven of them done now, and lots more cut for more to sew up. And I'm continuing to sew up the bonus triangle squares into broken dishes blocks as I go. There's getting to be quite a nice collection of them up there. I'm not to sure yet whether the block with the asparagus quite fits in with the rest of them. I might have to find and put in some other food fabrics, just so it doesn't stick out quite so much. But, right now I'm just playing with them and having fun. Over at SoScrappy, the colour for the month is yellow. I had decided that I was going to skip this month, since I don't have a lot of yellows, and what I do have wouldn't show up in contrast to the backgrounds of the projects I'm currently doing for my scrappy projects. 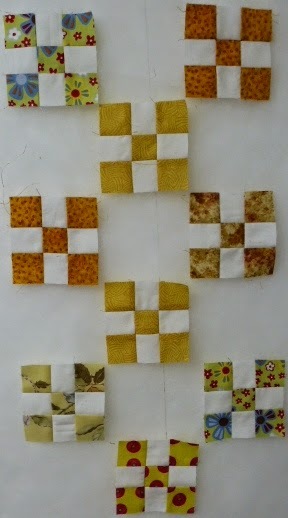 But then I thought, I could use some of my yellow 1 1/2 inch strips and start some nine patches for another scrappy quilt I've been wanting to do for a long time. So, here there are, some fun and happy yellow nine patches, using white as a background, so they show up very well. I still have Meteor Shower up on the wall as well, but it hasn't changed a bit. I haven't done a thing on it, so I didn't bother taking another picture of it. I'm linking up with Judy's Design Wall Monday and also with Scrappy Saturday, even if it is Monday and I'm two days late. I'm still working away on my Flyaway Hoodie. The left front is done to the point of joining at the underarms and has been added to the appropriate place on the circular needle. The right side is almost to that same place. So it's going well and it's going fairly quickly. There hasn't been a lot of knitting or sewing done today, however. But I'll link up what I've got here to Judy's On the Needles. Today was a gardening day. 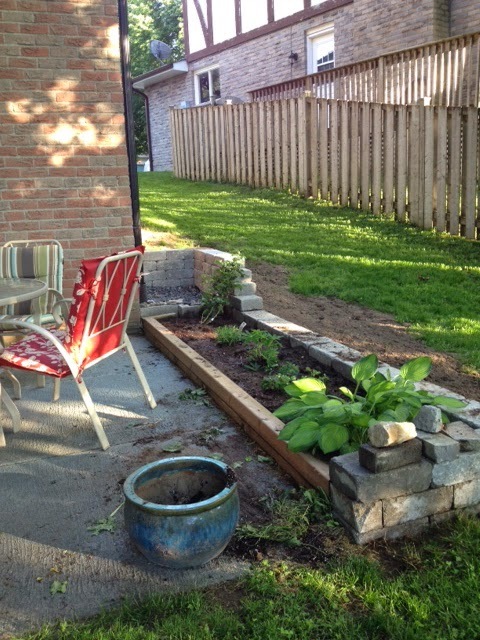 Last summer our son-in-law, Matt built a retaining wall along the one side of the patio. Before he built it, all the rain run off used to end up pooled on the patio, right outside our door. 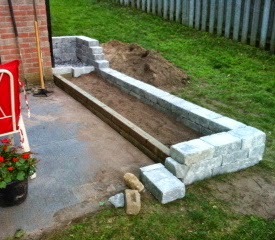 In addition to the retaining wall, he built a small garden in it. starting from the far end, there's a Joseph's Coat climbing rose and some lavender... I love the smell of lavender. Then there a lupine, some columbines and a big hosta that used to be in that blue planter. There are three of those blue planters, a bigger one and a small one and then this medium one. The hope is to eventually make a water feature out of these. We did some planting in some other areas of the yard as well, but I didn't manage to get any before and after pictures of those. I did more physical work today than I have in a long time. It felt so good to get back out playing in the soil again. I've missed having a perennial garden to wander through. It's nice to get back at it. And it's even nicer to have young man's arms and a young man's back to do the heavy work. I probably haven't said this in at least a week or two..... I love living here. I did up some rhubarb pie filling and some strawberry rhubarb pie filling. I sent away for the Clear Jel thickener that is recommended for canning purposes, and it worked really well. It took most of yesterday to get those 11 jars done. It's at times like these I really miss the dishwasher.One of these jars will make up 2 individual sized crisps. There might be more of this in the future, or maybe I'll declare this as enough of these flavours, and do up other kinds of pie fillings as different fruits come in season. On Tuesday I loaded Charlene's Grandmother's Flower Garden and got a start on it. I have yet to decide what to do in the white pathway areas. I was supposed to be working on this today, but I kinda got a bit side tracked. I had to go out to the drug store to pick up more Melatonin, and then to another store to pick up some ant bait stuff. I made up some of the home made sugar and water and borax bait, which we used last year with really good results, but for some reason this year the ants are walking right by it and completely ignoring it. So, the big store bought guns have come out. These 2 small errands expanded into also going to our local farmer's market for some produce. And then, the lure of the garden center was just too strong. I couldn't resist any longer. So I headed out there to pick up some plants. And then, DD Becca called looking for a ride home. The quick 2 item errand turned into an all afternoon outing. Add in supper and then cleaning up from supper, and it is now 6:45 pm, and no quilting done. I might go up and spend an hour at it this evening, because tomorrow is going to be a gardening day. I'll take some before and after photos and post them tomorrow. I'm a day late with this, but that's better than not at all. I was going to do this yesterday evening, but ended up reading all evening. It's the first time in a long time that I've had a book that I started and finished all in one day because I couldn't put it down. It was called The Midwife's Confession, and it was really good!! Anyway, last time I posted on Sunday, I mentioned I was thinking of doing up a few new blocks. Well, I did, and here they are. I have a bunch more cut out and ready to go. I'm sewing the bonus triangles into broken dishes blocks as I go, and might use them in a border for this quilt, once it gets to that point. I have a bin of fun modern prints, along with some black and whites. The plan is to use the black and whites somewhere in every block, some lights and some darks, and see where this takes me. It felt really good to play with something new. However, I have not given up working on my UFO's. Meteor Shower, another design by Judy Martin in her book Scraps, is going to be this month's assignment. However, I don't think I'll be able to get the whole thing done this month, so I'll break the goal up into at least two months. It needs six more of these large star blocks, so I think that's what I'll give myself as this months' goal. Next month will be the little stars and putting it together. This should be doable, and still give me lots of time to get this one, and a few others quilted up before our quilt show in October. It's coming up on canning and preserving season, so I have to give myself some time for that. I currently have about 10 pounds of rhubarb sitting in my kitchen waiting to be processed, so, after I link up to Judy's Design Wall Monday and A Lovely Year of Finishes for the June goal setting party, I'm off to do some rhubarb crisps for the freezer and some pie fillings, plain rhubarb and some strawberry rhubarb using some frozen berries from last year. There might be jars on my counter to take pictures of tomorrow. It's still warm outside, with a gorgeous breeze, so I think I'm going to take the rhubarb and my cutting mat outside. Unless I do some hyper piecing, or do up some backings, that net used number is going to disappear in the next week or two. I ordered some McKenna Ryan fabrics for her pattern True Nature. I started off with the shopping cart at Batiks Plus full of almost all the fabrics needed for this quilt. When I started the check out process I nearly feel over at the total, so I began again. What I ended up ordering are the backgrounds for the blocks. 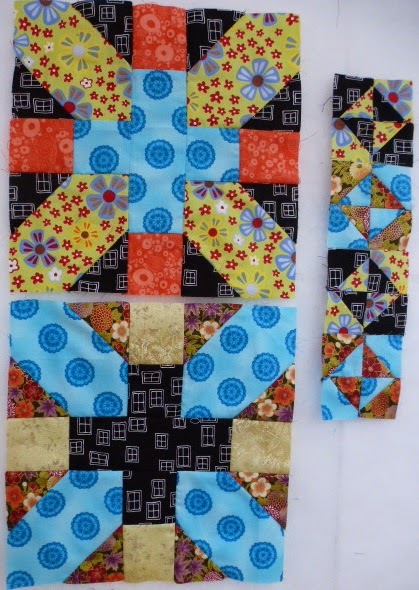 After looking at the blocks closely, I decided that it is the backgrounds that give this quilt its character. Take a look at the McKenna Ryan fabrics on that site and you'll see what I mean. I can fill in the rest of the pieces from my current stash. There is other stuff I can order later, if I want, but one of the backgrounds was already out of stock, therefore, I ordered it while I could. At least, that's my story and I'm sticking to it. I'm going to kink up to Judy's Stash Report, and then I think I'll play for a while.